The work on Chapel is really progressing. Just this last week have started renovating the wooded floor boards under the old altar carpet, polished the brass door fittings, and have found some old oak to have made into an altar book stand. The display cabinet is underway, as is the vestry sculpture and the WWII project is nearly at the write up stage. We are just waiting to finalise a couple of donations from our generous benefactors, and once this has been completed, we will mail out all the letters of thanks and gifts. In the meantime, if anyone finds themselves in the St Anselm Hall neck of the woods, please visit for dinner or a drink in the SCR. Enjoy this before and after picture! The Junior and Senior Common Room and Chaplain have been overwhelmed by your generosity. Work is already underway, and we can now really push ahead with our plans for the Chapel. The Hall's Chapel community is a wonderful group of students, and they have embraced the values that have long made St Anselm Hall a special place to live. I hope over the coming months, and at the Summer Reunion in particular, you can visit Hall and see all the work that has gone in into the Chapel, as well as the Cellar Club and library over the few months. I was in Belfast the evening we surpassed our Chapel Renovation Project target, and it represented a great success of communication and cooperation across all our Hall's interest groups. We crossed the line on Wednesday, 30 January. Up to this point we had already done brilliantly, reaching over £3000 since the project launched in November, but this surge that got us over the line really demonstrates the power of our St Anselm Hall community. I am very proud to be apart the Hall, the Senior Common Room, and the Association. Your generous donations will ensure the Chapel continues its revival as one of the touchstones of our Hall community. It is not just your financial commitment, though, but your engagement and support of the work being done in Hall and by the Association that will certainly help spur on those efforts and projects coming up in the future. 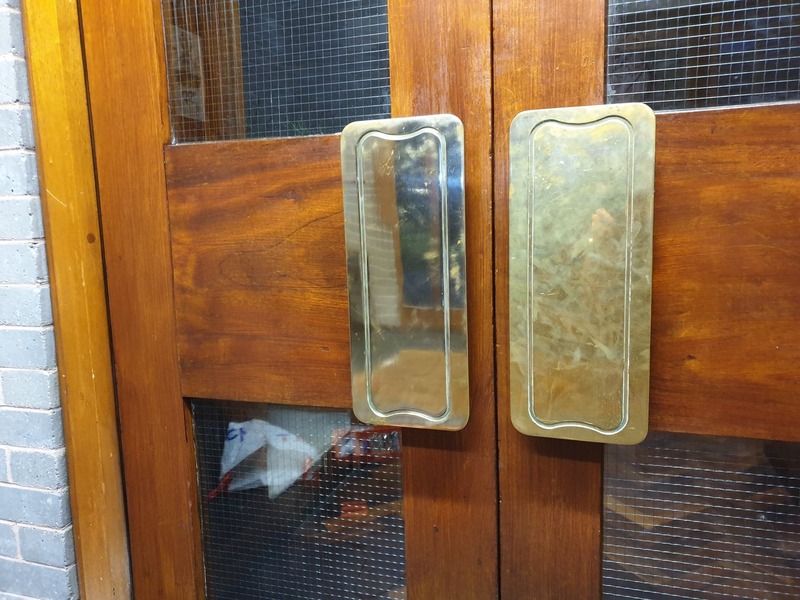 Whilst the fundraiser is a ‘discrete’ project, established to secure the procurement of a bespoke display cabinet, pew restoration, and other important works on the Chapel’s fabric, the wider initiative draws in a lot more than just material objects. On Wednesday, 6 February, we will be holding an all night vigil, collecting donations for the homeless on the streets of Manchester. Led by Father Hugh Bearn, Chaplain to the Association and Hall, we will also welcome in various alumni and leading figures in Manchester, helping to raise donations and awareness of homelessness in Manchester amongst our student communities. Later in the term we will be celebrating St Anselm Day, to which I hope many of you can attend. Alongside a banquet and live music, we will be celebrating the work done in the Chapel in the preceding 12 months. Amidst so much progress and so many successes, it is essential not to loose sight of the great deal of hard work, dedication, and care that has been given by Hugh, Sacristan’s Harry and Ellis, the Hall’s Chapel community, Estates Manager Emily Taylor, amongst others, who have propelled the incredible transformation of our Chapel. We either now have, or soon will have; renovated pews, a repaired roof, a display cabinet presenting the Chapel’s heritage, a sculpture representing the Hall ethos, as well as restored silver and a programme of services. It is the responsibility of the SCR and senior students to work hard, in the coming terms, to sustain the vibrancy there has been this year in Chapel, but also for what the Chapel represents: our community, identity, and values. The weather outside was frightful, but the Chapel, warm and cosy, proved a sanctuary of merriment and beautiful music. 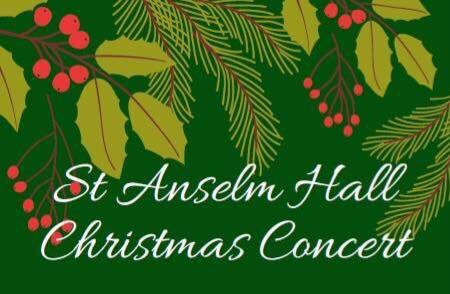 Packed to the rafters, the St Anselm Hall and Canterbury Court Christmas Concert attracted 70 spectators including a dozen external guests—the highest attendance on record. The night began and ended with drinks. Prosecco was served in the open JCR as the crowd gathered; guests from London, Birmingham, Manchester, and the east of England arrived, and the corridors of Dewar, Manor and Summerfield decanted into the common room. After the music was over, we all congregated in and around the Closed JCR for gluhwein and mince pies, the fun carrying well into the night. All this drinking and mingling served as fitting bookends for the main event. The concert, arranged by our Musical Director and Sacristan, Harry Spain, proved the event of the term. The Warden opened proceedings with words of thanks and appreciation: a Hall is only a building, but it is the enthusiasm and commitment of the residents that make it such a special place. We all stood for Hark the Herald before a double hit from Thomas Rennie (guitar and vocals), and a spectacular duet by Dan Pett (viola) and Harry Spain (piano). We were also treated to Schubert by Ellis Lusted, as well as numbers from Keane (Amelia and Ewan) and Bach (Harry). Superb musicians all, and a special note to Amelia Nelson, the Courts RA President, for a breathtaking performance of Ludovico Einaudi’s Experience. Father Hugh Bearn offered some very poignant and impassioned words about the Chapel and community, and how we are all lucky to a part of the Slems family. Hugh’s enthusiasm for the Chapel has been infectious—participation has increased week on week, and with the fundraiser gaining momentum, all our plans are looking to become a reality in 2019. Thank you to the students and friends of Hall who came and made the evening so very special. We hope to be able to invite you all back next year for another concert, including our newly formed Choir and recently acquired harpsichord. The Hall continues to prosper, and is showing the best of culture developed from decades of effort and love—I am just very fortunate to be able to be the temporary custodian. 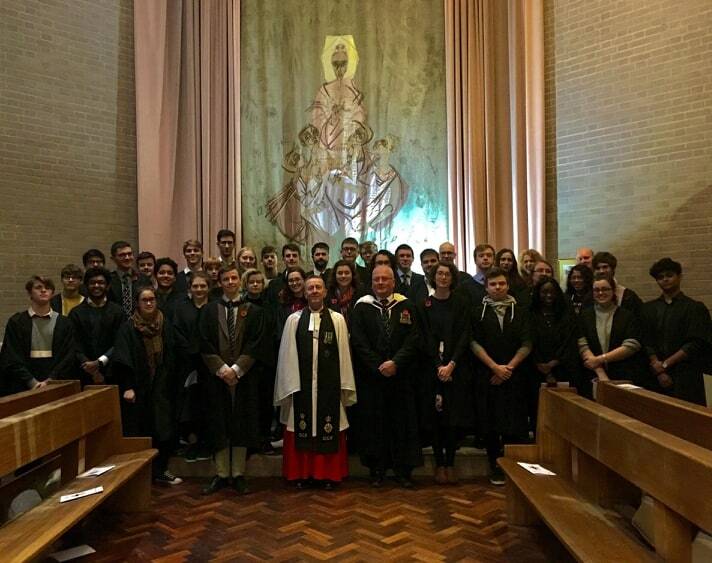 On Wednesday, 7 December, St Anselm Hall held its Remembrance Service. Father Hugh Bearn, joined by Hall Alumnus Lt. Col. Martin Clewlow, laid wreaths for those residents who gave their lives during WWI and WWII. Thank you taking the time to look at our page. We had Compline on Sunday in Chapel. Sacristan Harry, along with 3 other residents formed the choir. There were 22 in attendance led by our Chaplain, Father Hugh Bearn.